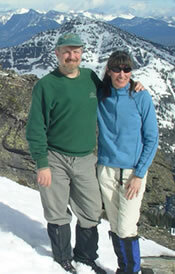 The Friends of Scotchman Peaks Wilderness has recently set up a Facebook “Fan Page”. It’s a fun and informative place to be. On the fan page, you will find some of the best pictures we have in our collection as well as fan submitted pictures and announcements about newsworthy items and events. It’s a great place to meet up with other friends of the Scotchman Peaks. If you haven’t checked it out yet, you should! Facebook users will already know useful a Fan Page can be in keeping them up to date on events, activities and news. If you are not a current Facebook User, setting up an account easy to do and worthwhile way to stay connected to communities of people with whom you have common interests. And, the Scotchmans Peaks Fan Page will be one community you will want to belong to! We hope you will invite your friends to become our fans too! You can view the page without being a fan, but once there you will want to become a fan to be able to make comments and fully participate. And, there are other benefits to becoming a fan – you can post photos, for example. I’m a fan but not sure if I’m signed up. so if not, here I’m.